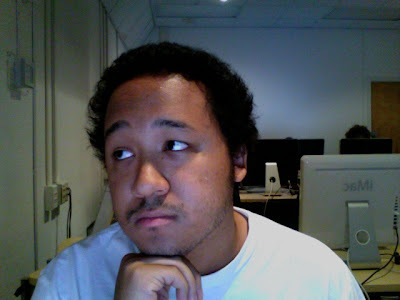 Being pensive in front of an iChat camera. My name is Dorian Patterson. I like to make things with computers. Some of these things include websites, games, and 3d art.